As a tropical country, Thailand enjoys a generally sunny weather all-year-round, making it a great holiday destination for the much–needed beach trip. And rightfully so, it is known as one of the Asia destinations with amazing tropical islands to choose from. Get started with your Thailand travel itinerary as we round up some of the country’s best island destinations that are perfect for summer! Located in the southern part of Thailand, between Phang Nga Bay and Trang is Krabi, one of the best places to visit in Thailand. 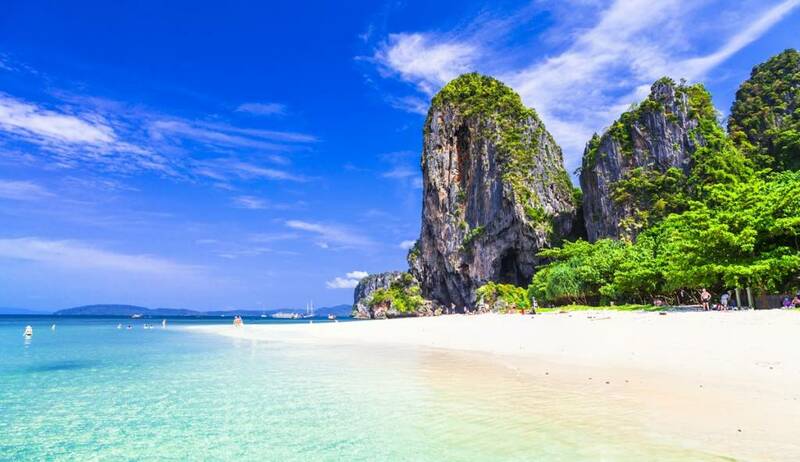 Undoubtedly, its wide selection of natural beauty – the lush forest, incredible underwater world, towering limestone cliffs, powdery sand beaches and clear turquoise waters – has made Krabi one of country’s best offers for an island paradise. Leisure activities such as snorkeling, island-hopping, rock climbing, jungle trekking are just some of the things to do in Krabi. With just a 80-minute travel time by plane from Bangkok, Krabi, a less developed island than Phuket welcomes a smaller number of tourists so you can expect a lesser crowd here. It also has a more laid-back atmosphere compared to Koh Samui. Thanks to Phuket’s wide variety of accommodation, dining and partying options, the island attracts all types of tourists – from backpackers to luxury travelers and honeymooners. Aside from the endless beach destinations, a Phuket travel itinerary can also include a trip to the island’s temples and a stop at the Old Phuket Town, a historical town in the sleepy provincial capital of Phuket. 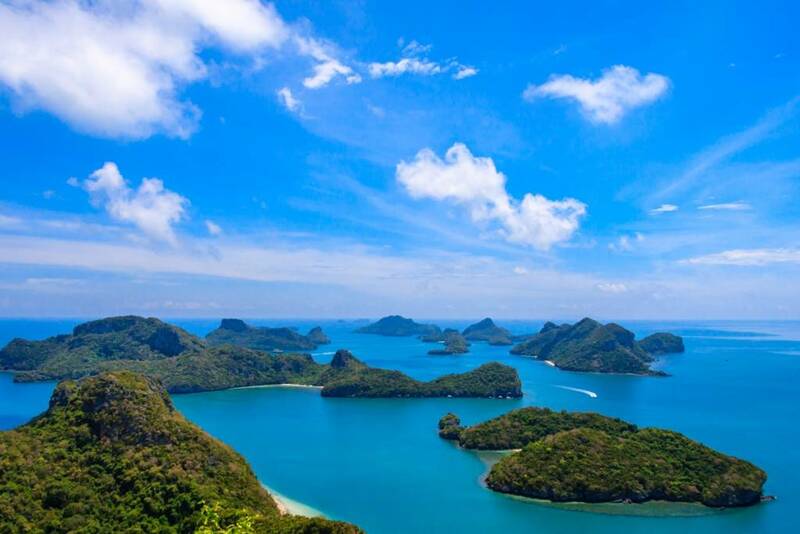 Book a day tour to the nearby Phang Nga Bay and Phi Phi Islands or enjoy island-hopping to some of Phuket’s beautiful beaches which include Kamala, Kata, Patong Beach or Karon. But you can also go further up north and find more romantic beaches for your trip. Appealing to both budget travelers and wealthy vacationmakers, Koh Samui is much like Phuket in a sense that it is also a world-renowned destination. With this, it also welcomes a bunch of local and international tourists every year. And although it has a lesser number of beaches than Phuket, what Koh Samui lacks in quantity, it makes up for in quality. The beaches of Koh Samui have whiter sand and the water is believed to be clearer and calmer. You can also find postcard-like places more accessible as some of these are right by the island’s major resort towns. Incredible dive spots also make it a great choice for snorkeling and diving, adding up to the reasons why it deserves a spot in your Thailand travel itinerary! There’s more to Trat than being a transport hub in the southeastern part of Thailand. Kai Bae is one of Trat’s more popular beaches where bars, restaurants and guesthouses line up to give tourists the comfort and entertainment they need. Another must-visit Thailand attraction in Trat is the Koh Wai Island which is a 30-minute speedboat ride from the mainland. With limited electricity, no roads and vehicles, it’s the virgin island you need for a relaxing tropical hideaway. For those who love trekking, take the path of the beautiful Klong Plu Rainforest as you make your way to see the Klong Plu Waterfall. You will also find a variety of bird species while trekking in the Khlong Plu Rainforest. What was once a quiet fishing village has now turned into a well-known island destination that is often included in most Thailand travel itinerary. 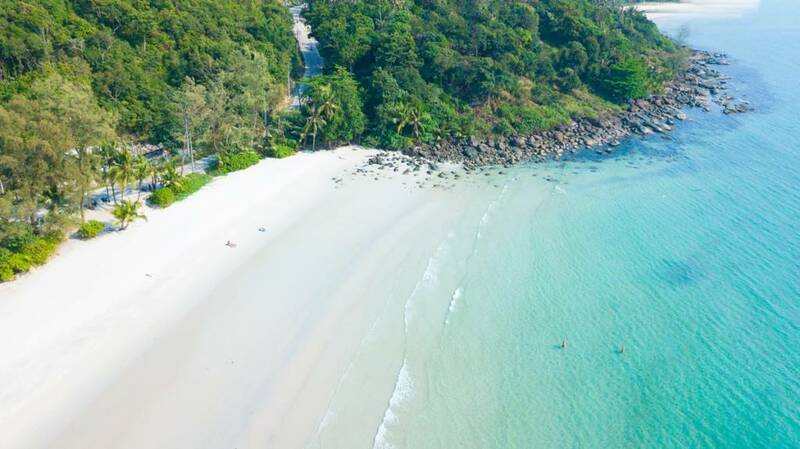 While some people prefer staying in the country’s capital city, a lot of other travelers like to embark on an exciting adventure along Thailand’s tropical islands with Pattaya being one of the must-visit places. 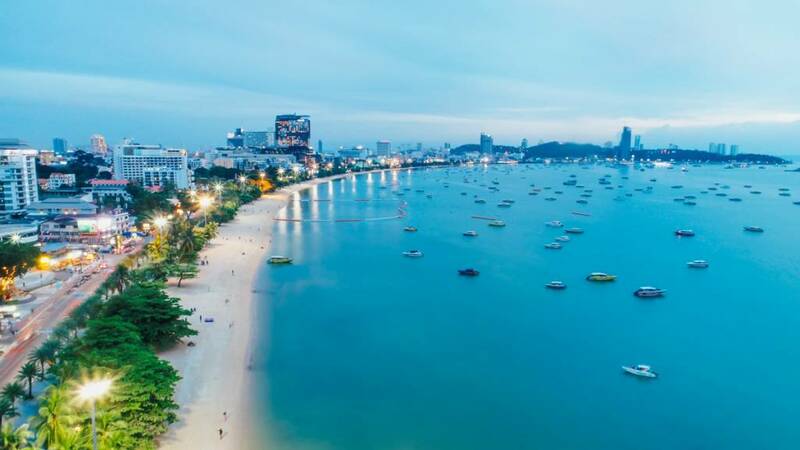 Beaming with water sports activities and an exciting nightlife scene, Pattaya is wide awake 24/7 catering to beach lovers enjoying the fun and beauty of what Pattaya has to offer. Phu Quoc’s close proximity to Thailand makes it a great side trip during your Thailand holiday vacation. 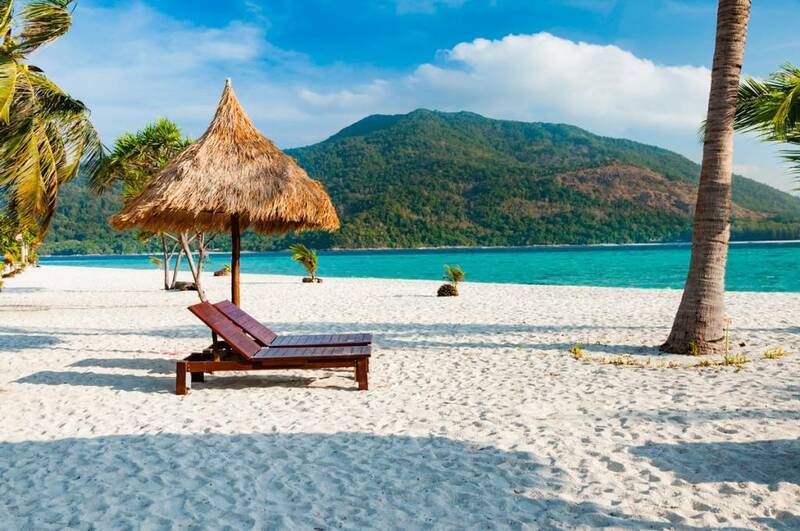 Located off the coast of Cambodia in the Gulf of Thailand is Phu Quoc, a Vietnamese island also known for its white sand beaches and a beautiful coastline. Aside from idyllic beaches and stunning sunset views, the Phu Quoc National Park, a UNESCO World Heritage Site is also a must-visit in the island. Once you’ve settled down which beach destinations to include on your Thailand travel itinerary, check flight booking offers of Bangkok Airways and fly with Asia’s Boutique Airline! Meanwhile, you can read the Bangkok Airways blog for more inspiring places to visit in Thailand and the rest of Asia!